The Great Gatsby is a triumph in one very specific way: it looks absolutely beautiful. The 3D serves the visual style in a way that bests every single “3D for the sake of it” film that has ever been released. “The Great Gatsby in 3D,” sounds like inelegant Hollywood nonsense, but the film actually looks distinctly 20’s. It’s vivid, fast-paced, and at times flickery in that old-celluloid kind of way. Depth of field is played with marvelously to accentuate loneliness and isolation within the bustle of a beautiful surrounding. Director Baz Lurhmann’s aesthetic choices are audacious. They are big, bold, and at times tiresome, but undeniably gorgeous. And given that the story is all about the emptiness of extravagance, it works as a visual style—if not tipping the film’s own emotional vapidity in a way that is a bit too ironic to be fun. Adapting a novel to film is a difficult task. Adapting the Great American Novel, one that’s been tried three times and never gotten right, that’s a near-impossible task. Leonardo DiCaprio (Django Unchained) gives the best performance of the bunch as the enigmatic millionaire Jay Gatsby. He portrays a confident handsomeness with an underlying boyish insecurity that allows the audience to believe his unveiling as an lovelorn fantasist. Why exactly he’s so in love with Daisy is never truly understood. Carey Mulligan is a charming and capable actress, but along with the rest of her cast (save DiCaprio), she fails to imbue her character with much emotion at all. The dialogue has the feel of surface-level melodrama, despite being founded in the words of one of the best authors in American history. I suspect this has something to do with the lack of intimacy achieved on a movie set built for extravagant spectacle (there was likely a lot of green screen involved—which, for a film devoid of aliens and explosions, is surely a detriment). Joel Edgerton’s Tom Buchanan reads like a stage performance. It’s booming and affected, and sounds troublingly like a Daniel Plainview impression. Then there’s Nick Carraway, the novel’s narrator, portrayed by relentlessly inert Tobey Maguire. Interpreting the narrator is by far the most difficult task in The Great Gatsby, and it’s the one that Lurhmann fails at most glaringly. Nick then becomes not only the narrator—but the author of The Great Gatsby as well. It does disservice to the audience, who have all probably read Fitzgerald, or at least heard of him. He’s the author, and he’s so far the only person to have done Gatsby with any real adeptness. Occasionally words will flutter onto the screen—these are the lines taken directly from the novel. 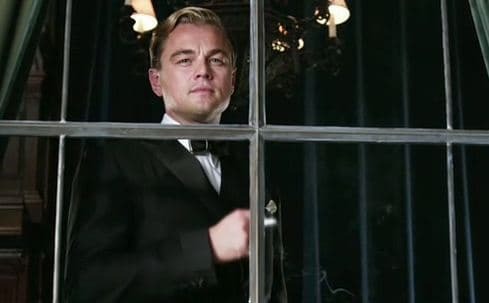 By reminding us so bluntly of the story’s literary origins, Luhrmann makes it difficult to forget just how much of Gatsby depends on the wonderful prose of its author. Elizabeth Debicki offers a very spirited take on Jordan Baker, though her role in the life of the narrator is a bit diminished. She in fact achieves more on-screen mystery than DiCaprio does as Gatsby. Isla Fisher and Jason Clarke are cartoonish though entertaining as the accidental interlopers in Gatsby's story, Myrtle and George Wilson. The hip-hop soundtrack is, sadly, distracting. While Jay-Z, Beyonce, Lana Del Rey and company nod to the 1920s in all of their songs, some of the music seems confusingly diegetic. The music is catchy, at times infectious, but ultimately feels like a misinterpretation. The editing also provides an odd and unwelcome distraction, as on multiple occasions quick cuts are favored over continuity, which means a lot of the film’s lines are delivered by unmoving mouths—or mouths uttering different words. In the end, Gatsby is at its heart an intimate and quintessentially human tale, and Luhrmann chose to tell it in an extravagant way that mostly ignored its humanity. Luhrmann’s hand is felt far more than Fitzgerald’s, which is a problem with such a famous and beloved story. 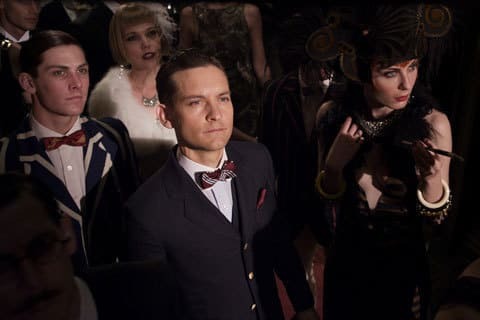 Whether Luhrmann did Gatsby any justice is up for debate, but the film’s boisterousness certainly made for an entertaining viewing experience—complete with a few sincere laughs and some truly awe-inspiring visuals.